If you are planning a larger event and want to provide immediate personal convenience for your guests in wheel chairs, ChemCan is your go-to source for portable restrooms. 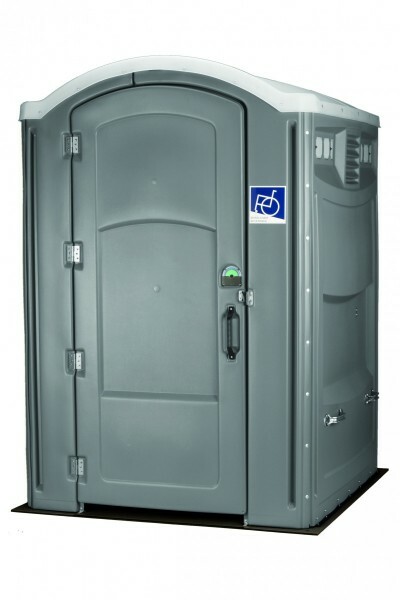 One of our specialties is wheel-chair-accessible portable restrooms that offer absolute ease. Accessibility should not be compromised, nor should quality. As with all of ChemCan's restroom facilities, our wheel chair accessible units are in pristine condition and are spotlessly-clean. Meeting and exceeding our clients' expectations with a top-quality product is our priority because image matters. Maintaining that image is what ChemCan has succeeded in doing in the Dallas-Fort Worth area for more than half a century. Whether you are anticipating a church social, sports event, corporate picnic or family reunion, you and your guests will appreciate the immense convenience our wheel-chair accessible portable restrooms provide. To determine how many units you will need, refer to our restroom-planning guide included on this page. You can, also, give our office a quick call; and we will be happy to determine how many units you might need, especially if you are planning a larger get-together. How many people in wheel chairs will be attending? Will a larger number of guests remain for more than 3 hours? Will alcoholic beverages be served? As always, our efficient crew will do all the delivering, setting-up and hauling – we do the work so you don't have to! Contact one of our knowledgeable agents, today, and we can answer all your questions right over the phone. Ask, also, about our free-quote offer. You can reach us at our Fort Worth office: 817-568-2333 or our Dallas office: 214-935-9017.